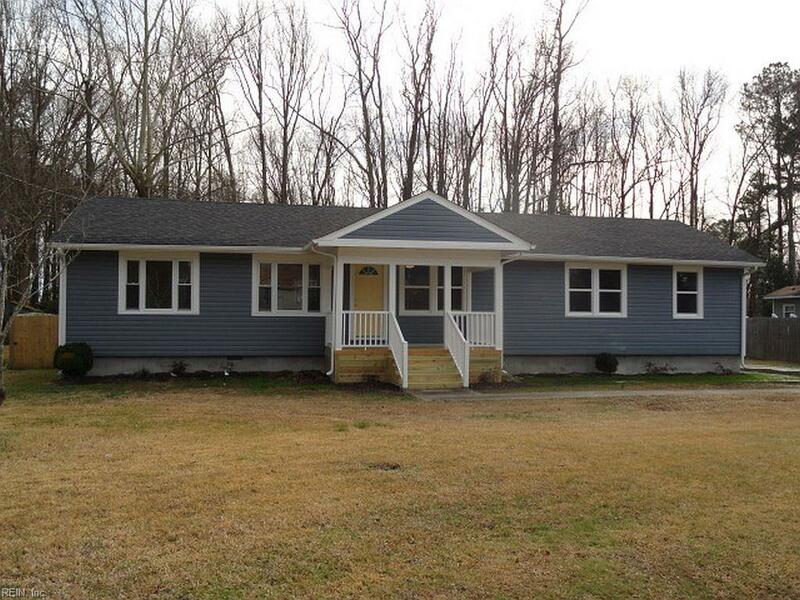 Come check out this renovated Ranch style home located in the highly sought after Grassfield area of Chesapeake. The home features covered front porch, large open & bright living room, dining area that over looks the new deck and fenced back yard. 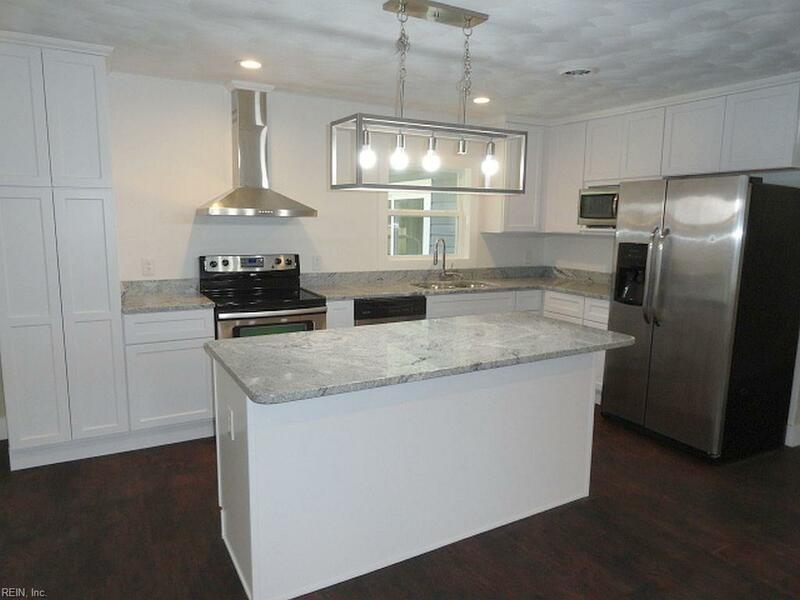 The kitchen features new cabinets, granite tops & stainless appliances. 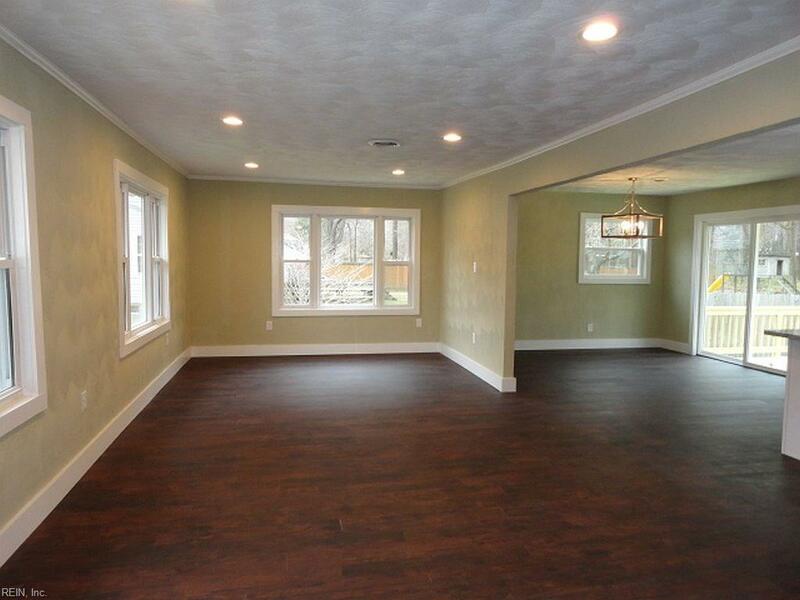 House features 3 bedrooms w/ new vinyl windows & new carpet. The master bedroom has a large walk in closet, private bathroom with dual sinks, linen closet & tile surround for the tub. 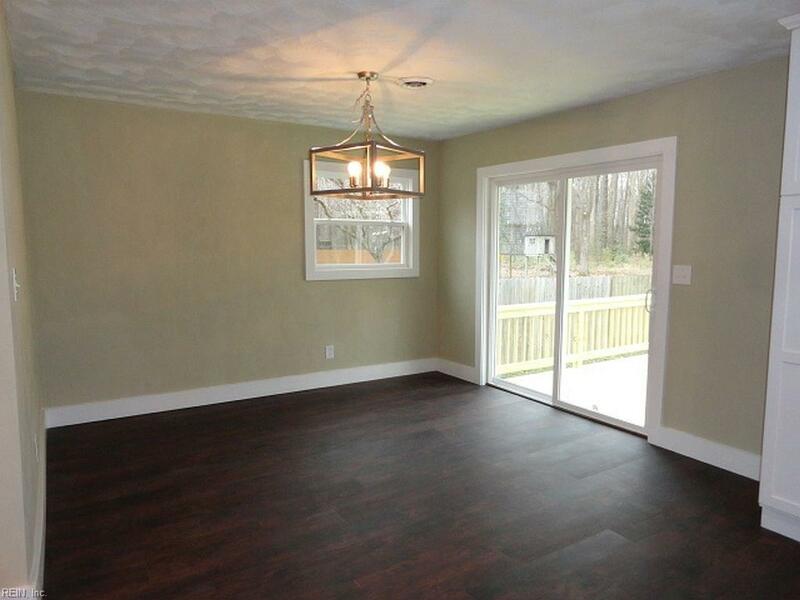 The hall bath features all new fixtures, tile surround & ceramic tile floors. There is also a large laundry closet, an added bonus room/sun room that overlooks the large fenced back yard and the new deck. Additional features include a detached over sized 1.5 car garage, driveway with parking for multiple vehicles, brand new 30 year architectural roof, new HVAC system, all new flooring throughout the house. Seller is offering $600.00 towards 1 year home warranty of buyer's choice at closing. © The listings data displayed on this medium comes in part from the Real Estate Information Network, Inc. (REIN) and has been authorized by participating listing Broker Members of REIN for display. REIN's listings are based upon Data submitted by its Broker Members, and REIN therefore makes no representation or warranty regarding the accuracy of the Data. All users of REIN's listings database should confirm the accuracy of the listing information directly with the listing agent. © 2019 REIN. REIN's listings Data and information is protected under federal copyright laws. Federal law prohibits, among other acts, the unauthorized copying or alteration of, or preparation of derivative works from, all or any part of copyrighted materials, including certain compilations of Data and information. COPYRIGHT VIOLATORS MAY BE SUBJECT TO SEVERE FINES AND PENALTIES UNDER FEDERAL LAW. REIN updates its listings on a daily basis. Data last updated: 2019-04-25T20:35:39.173.